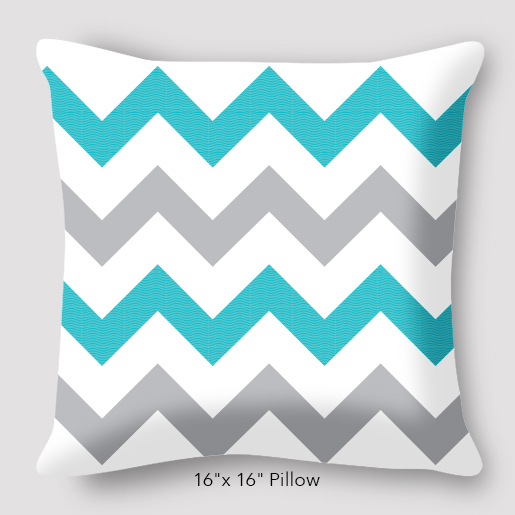 Prints 2 sides, balloons on 1 side and chevron pattern on the back. 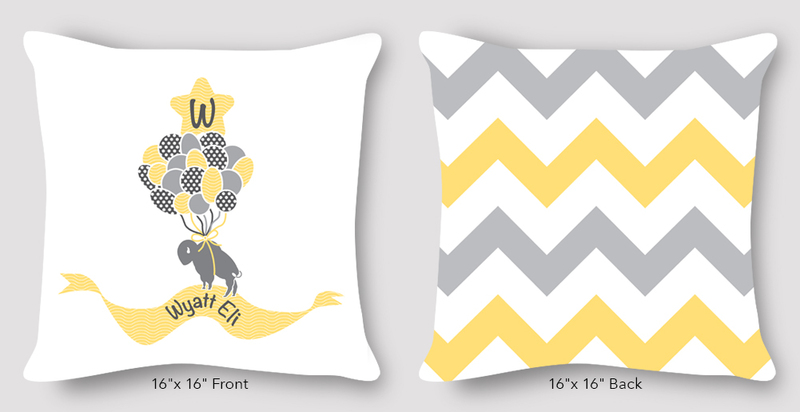 Comes in 2 color choices: gray/teal or gray/yellow. 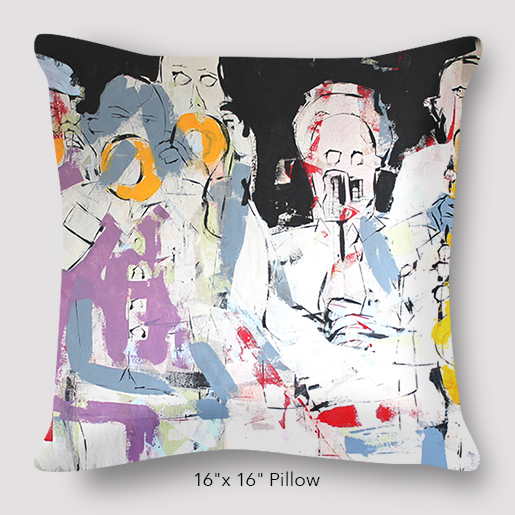 Customize this pillow to say the child’s name or family name. Please email the name in which you’d like it to say. 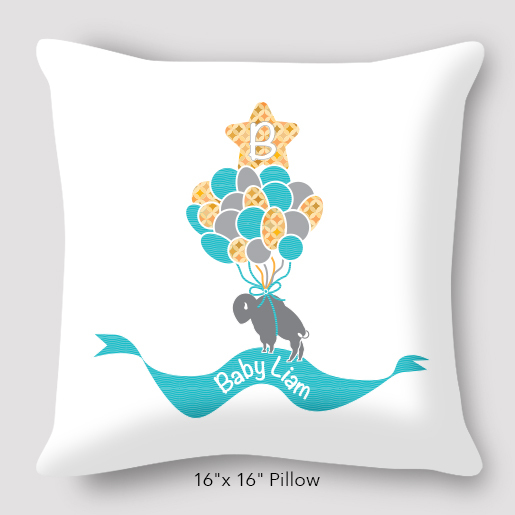 Be the first to review “Balloons Buffalo Baby Pillow by Marinette Kozlow” Click here to cancel reply.